Ozone generators, in general, are not able to run efficiently on 100% oxygen. It will significantly decrease the efficiency of the ozone generation. An additive of nitrogen in the oxygen is necessary. A Primozone LOX booster will mix a small amount of compressed dry air into the oxygen flow, making sure the ozone generator will run as efficiently as possible. The Primozone LOX-Booster ensures the correct mixing of nitrogen, independent of the oxygen flow thanks to its built in mass flow controller. 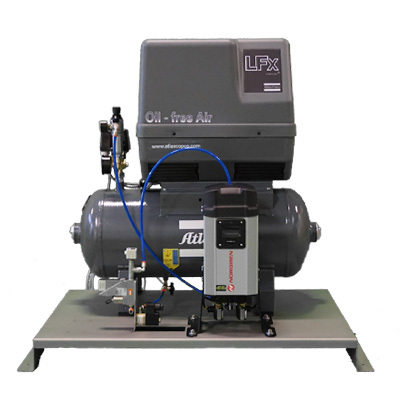 The LB LOX-Booster comes in two different versions – with or without a built-in air compressor.